Riffing off b current’s powerful 25 year legacy of culturally-rooted theatre development in Toronto, the 14th biennial rock.paper.sistahz Festival is a hand-picked and fully curated theatre festival teeming with quality, diversity, and raw energy to bring rarely told and unusual stories to the stage. 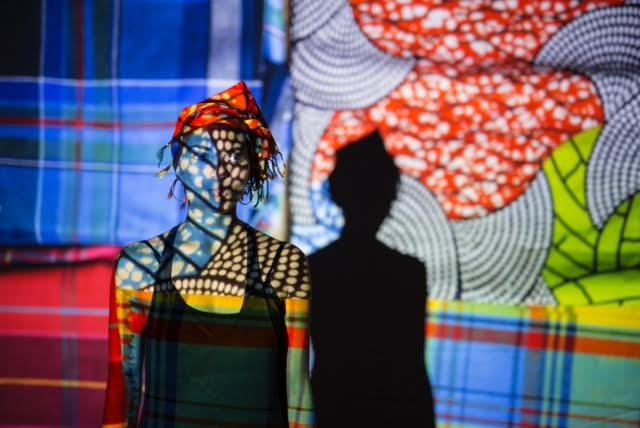 A launching pad for multidisciplinary works by emerging and established artists of colour from all Diasporas across Canada, rock.paper.sistahz will be presented at Artscape Wychwood Barns from May 3 – 7, 2016. With a focus on theatre and dance, this year’s rock.paper.sistahz will feature over a dozen diverse artists presenting new works exploring the theme of higher power in society, drawing on their personal, spiritual, political and emotional experiences. The Festival will showcase creations at various stages of development, allowing audiences to participate in all levels of the creative process, from early script exploration, to workshops, to fully realized productions. Broken Windows by Fiona Clarke, inspired by the #BlackLivesMatter movement, and last year’s shooting in the U.S. of a Muslim family over a parking ticket. Monstrous by Sarah Waisvisz, exploring the often ignored mixed race identity between Black and White. The Midnight Birth by All-Ever (Oliver Koomsatira) and Kim Henry, a combination of hip hop, music and dance, and dealing with sexism, it seeks to break commercial rap stereotypes. Developed in 2002 as a springboard for Black women artists to create new theatrical works, rock.paper.sistahz has since expanded to feature dance, visual art, film and youth events by artists of all cultures and genders. The Festival has launched the careers of numerous acclaimed Canadian artists and many works created at the Festival have been presented across North America. For 25 years, b current has been a hotbed for culturally-rooted theatre development in Toronto. Founded by Award-winning artist ahdri zhina mandiela as a place for Black artists to create, nurture and present new works, it has since expanded to support all artists of colour. Under the new leadership of Artistic Director Jajube Mandiela and Artistic Producer Alison Wong, b current continues to support diverse artists with their core initiatives including bcHub, launched in 2015, and serving as a creative hub for professional artists who identify as Black, Indigenous, or People of Colour. bcHub was built on b current’s 15-year Award-winning rAiz’n in the Sun training program, Toronto's first professional Arts program dedicated to cultivating emerging artists using a Black Diasporic lens.